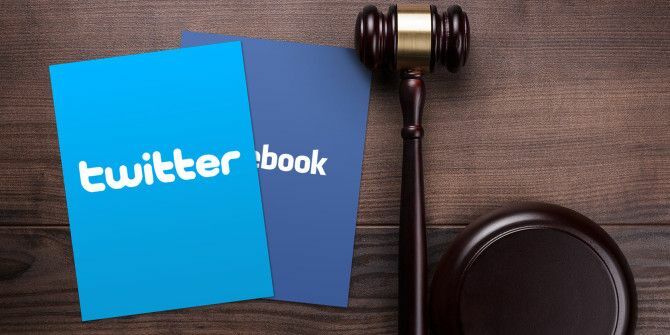 Think Before You Post: Can You Be Sued For Libelous Tweets and Facebook Posts? In most countries around the world, saying or writing something that’s untrue and harms the reputation of another person is a civil offense. While this has been the case for centuries, most people were essentially immune from prosecution — unless you had a public platform reaching a wide audience, meeting the bar for defamation was next to impossible. Now anyone with a Facebook or Twitter account can theoretically reach the entire Internet using population. If the message being shared is positive, the Internet can do wonderful things DancingMan, And 4 More Times The Internet Was a Positive Force DancingMan, And 4 More Times The Internet Was a Positive Force The Internet can be a mean place, full of trolls and scamsters. But just like real life, for all the bad, there's a lot of good out there. Read More . If the message being shared is defamatory, there might be a very expensive lawsuit. One particular case came to my attention when my colleague Angela wrote about social media fails That Awkward Moment When You… Complete Social Media Fail That Awkward Moment When You… Complete Social Media Fail That feeling when you've said something stupid on Twitter and realize you're going to get flamed. Well, be thankful that's as bad as it gets for most. And then there are the real screw-ups. Read More – there was an incident in Melbourne, Australia. An (ironically unnamed) woman took to social media to share a photo of a man she’d seen taking a picture near some children. On Facebook she labeled him a “creep” and claimed police were investigating. The post was shared 20,000 times, and the following day came to the attention of the man himself. He immediately turned himself in. The slight catch was that he’d been taking a selfie of himself with a Star Wars poster – to send to his own children. Obviously, according to a friend interviewed in the Daily Mail, the man and his family are extremely hurt by the incident. As is their right, they’re reportedly investigating their legal options. A decade ago, the woman would have gone home and told her friends and family about the “creep” she’d seen in the shopping centre. While those statements could well be considered slanderous, only a few people would have heard them – it would never have amounted to much. Unfortunately for her, by posting them on social media she has potentially exposed herself to a libel suit. What she posted was untrue, publicly published, reached a significant audience and certainly had the potential to harm the man’s reputation. Despite social media massively increasing the potential for law suits, the actual number of such libel cases brought is still very low. The UK experienced a 333% rise in social media libel cases between 2013 and 2014, but the number of cases only increased from six to 26. One possible reason for this is that it’s very expensive to bring a libel suit. If you’re unsuccessful, depending on the ruling, you may have to pay both your own and the other party’s legal costs. In a long, drawn out case this can run into six or seven figure sums. For companies and celebrities, the costs can be worth the risk, but for regular people it’s often better to let things slide. Even when someone does bring legal proceedings, they are often settled for far smaller sums privately before the case reaches trial. By and large this is what we’re seeing at the moment, although there are exceptions. In another incident from Australia, Andrew Farley was ordered to pay $AUS 105,000 to a music teacher he’d defamed on Twitter. Farley “bore a grudge” against Christine Mickle after she replaced his father, who stepped down for health reasons. Farley’s tweets implied Mickle was responsible for the situation. For the most part, though, there have been cases involving politicians and their wives, sports stars, and two involving the singer Courtney Love. It’s a truism in law that you should always go after the person with the most money. To that end a number of people have tried to sue the social networks themselves for hosting the defamatory content. They’ve met with little success. An Irish student, Eoin McKeogh, brought one such case. A video of someone evading a taxi fare was posted on YouTube and McKeogh was falsely identified as the perpetrator. The video was shared widely online, so McKeogh took a case against Google, Facebook and a number of smaller websites in an effort to have the video removed. Three years later, the case is still ongoing and he is facing legal costs of over €1 million. Even if McKeogh eventually wins, his case is unlikely to have been worth it. The situation with social media and libel is extremely messy. While it’s difficult to make sweeping statements about something as complex as the global legal situation, in general the courts are struggling to keep apace with the development of the Internet. One thing that is clear, though, is that you can be held accountable for anything you post on a social network. “It’s just Twitter” is not going to work as a legal defense. The social networks themselves don’t seem particularly fussed about the situation. As things stand, a website has to take down any defamatory content they are made aware of, but they do not actively have to police everything that is posted. This is, supposedly, one of the reasons for the report abuse button but, as my co-worker Jessica outlined they aren’t the most effective tools at the moment Tweeting While Female: Harassment, and How Twitter Can Fix It Tweeting While Female: Harassment, and How Twitter Can Fix It Twitter's abuse problem is real. Here are some examples, along with expert opinion on how Twitter can solve this. Read More . The current approach in the UK is that the report button is not enough, and a formal letter of complaint is required to force service providers to act. Even with social media, it’s unlikely anything you post will be seen by enough people that someone will sue you for libel, but there is absolutely no reason to use that as an excuse to defame people online. 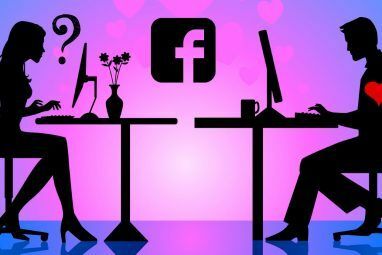 Not only will you embarrass yourself How to Avoid Embarrassing Yourself on Social Media How to Avoid Embarrassing Yourself on Social Media Social media has the tendency to make us forget how public it is, so we end up sharing things we really shouldn't have. 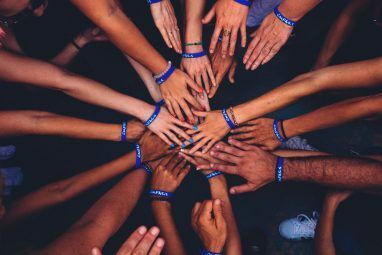 in this post I'm going to help you avoid those unnecessary embarrassments... Read More , but you’ll contribute to making the Internet a nastier place than it needs to be Worse Than Hitler: Why Do Flamewars Happen? Worse Than Hitler: Why Do Flamewars Happen? Why are flamewars so common on today's web, and is it really a new phenomenon? Read More . Social media can be an amazing force for good The Positive Impact of Social Networking Sites on Society The Positive Impact of Social Networking Sites on Society Social networking isn't for everyone, but it's now such a massive part of all our lives, whether we embrace or reject the notion, that it can no longer be ignored. But are social networking sites... Read More ; let’s think before we tweet and keep it that way. We want to hear what you think. Have you ever been defamed online? Or even defamed someone? Let us know in the comments. Explore more about: Facebook, Twitter. I am considering libel action at present. I have been told that I have an open and shut case but because the person does not seem to own property, it may not be taken on a no win case. 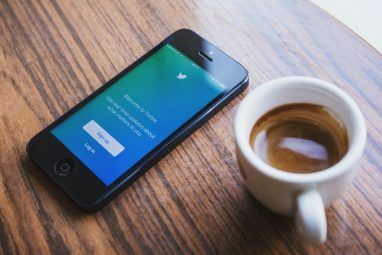 A tweet might not seem like the same thing as a newspaper opinion column, but when you're considering whether a tweet you composed could be inflammatory, you should consider the same test of libel that applies elsewhere.